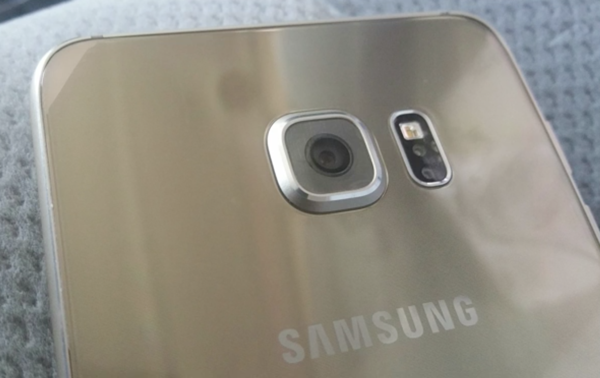 The Galaxy S6 Plus may just be real. Not long ago, a rumor regarding a larger, 5.5-inch Galaxy S6 being in the works engulfed the blogosphere, but there was no real evidence to back that claim up. Now though, a photo of the supposed S6 Plus has been leaked online and we’re not sure what to make of it really. 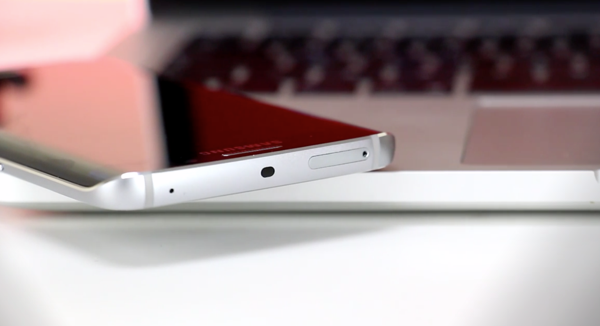 Rumor has it that Samsung is working on releasing either a 5.4-inch or the more probable 5.5-inch variant of the Galaxy S6, and not just the plain ol’ S6, but its curved-edge variant; the S6 Edge. YouTuber MKBHD has loosely confirmed the news with a set of photos which – if you look closely – seem to be of a larger Galaxy S6 Edge just as the earlier news had suggested. Other than that, there’s not a whole lot more that these photos can tell us, and if you were excited about some cosmetic changes, looks like Samsung will be playing this right out of Apple’s book and keeping the S6 Plus consistent with the S6 Edge. The skepticism from fans and non-fans alike regarding the possibility of a S6 Plus is not unsurprising, but if you really think about it, it wouldn’t be a bad idea for Samsung to throw this device into the market, especially when the S6 is doing much better than the S5 and sales have looked to be improving. Samsung could try and ride the wave here, but the question is, what does this pose for the Galaxy Note 4, or for that matter the entire Note lineup, assuming the Plus models are pursued in later Galaxy S phones as well? Powering the supposed S6 phablet will be a hexa-core Snapdragon 808 CPU from Qualcomm, while the storage will start at 32GB. The rear-facing camera will carry a 16MP module, while the front-facing camera will be 5MP unit. The device is said to be looking at an end-of-the-year release date, but we can’t confirm that just yet. However, MKBHD has proven to be a reliable source in the past, so it is reasonable to accept that this phone may actually exist. I really don’t get the whole curved glass thing. I mean what real purpose does it serve? It’s not that bad that you should knock it, It will become more useful when Samsung actually develops stuff for it. I don’t use mine at all, but It’s useful if they develop stuff for it. This is knocking on the door of “note” size. Differentiation of their product lines seem to be getting a little blurry. And I don’t mind the curve glass. It’s good they are trying things. Remember the note line up being slammed by everyone saying no one will buy a phone that big but they do really well. How would it be useful? I mean, yeah you can read one line text messages on it if you happen to have your head on your desk and glance that way when one comes up. This is a serious question. Tell me what practical things you can do on a screen that displays 1 line of text? I am not trying to be flippant. I just can’t see how it is anything other than a gimmick. 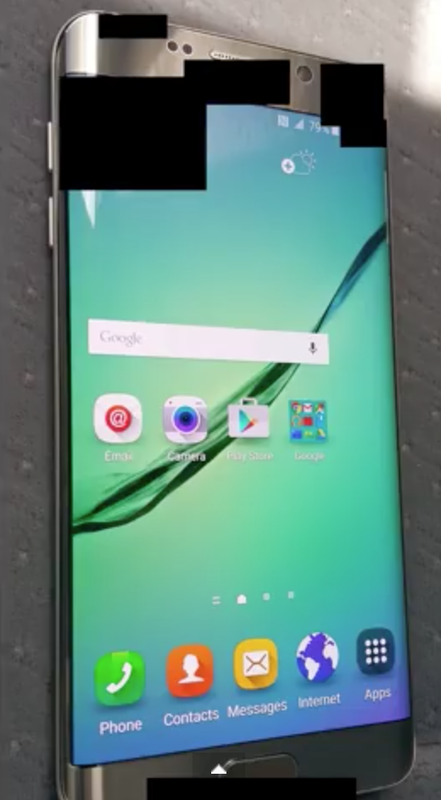 I have the S6 edge…it is gimmicky to a degree when talking about functionality. I just prefer the way it feels in my hand. It feels thinner and narrower. Not to mention it just looks cool. Same reason many love iPhone, design & feel does matter. And I totally agree about design and feel. Thanks for being honest!